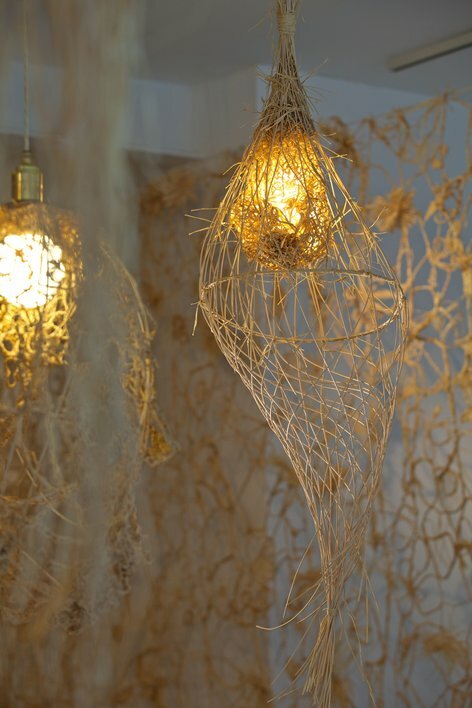 In the past, we’ve told you about Dutch designer Tord Boontje‘s yen for all things floral and frilly. 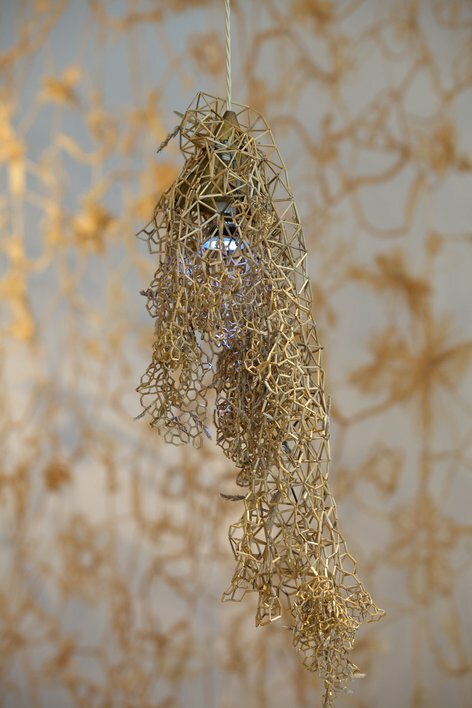 It was probably inevitable, then, that he’d turn his hand to lace — only this isn’t your grandmother’s lace. 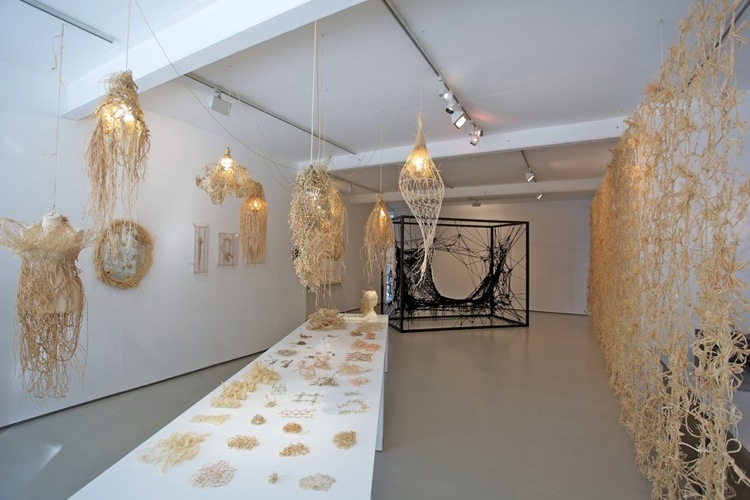 In The Lacemaker, a solo exhibit at the Marsden Woo gallery in London, Boontje weaves meshy household objects out of crappy materials any lacemaker worth her bobbins wouldn’t be caught dead with. 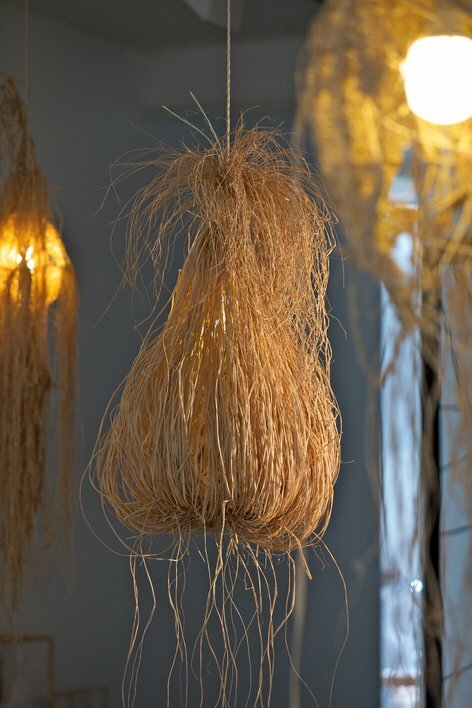 There are raffia lights and curtains. 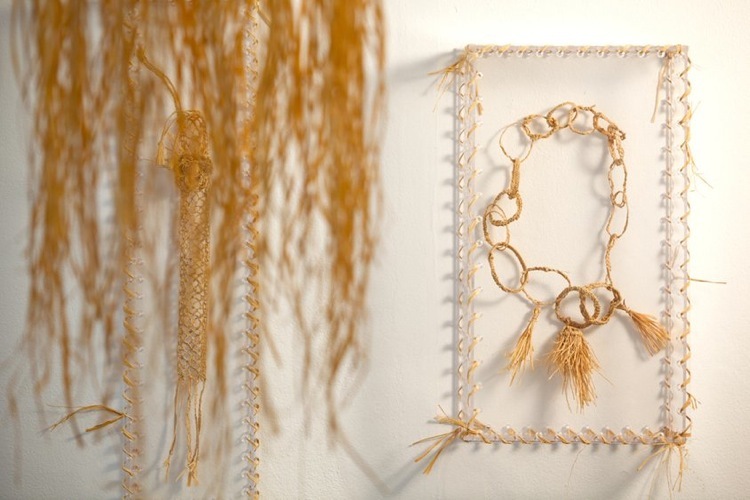 And jewelry knitted together with grass. 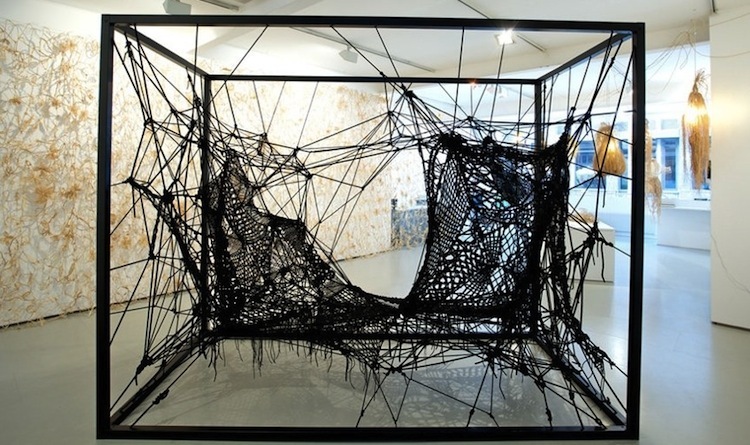 And a sofa made of synthetic fiber and sewn so loosely, it looks like the web of a mad spider (top). Apparently, he drew his inspiration for the exhibit after spending three days combing the archives of an old Quaker lace company in Philly. 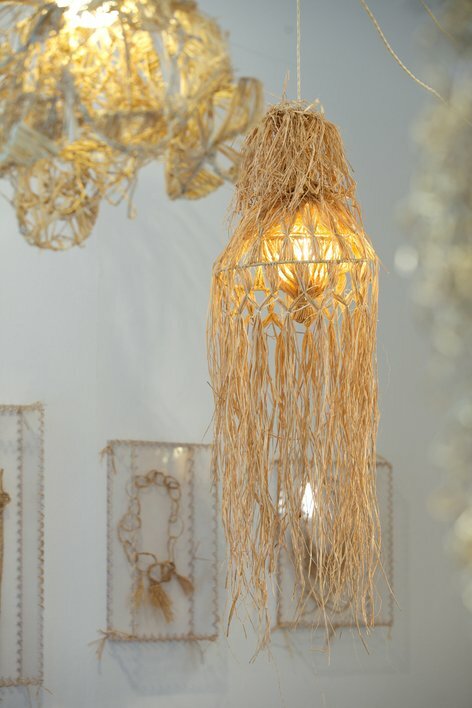 Boontje is one of many designers who’ve latch onto the design-art craze, in which luxe one-off furniture is sold in galleries at gallery prices. We’ve described it — and questioned its survival in these provisional times — before. 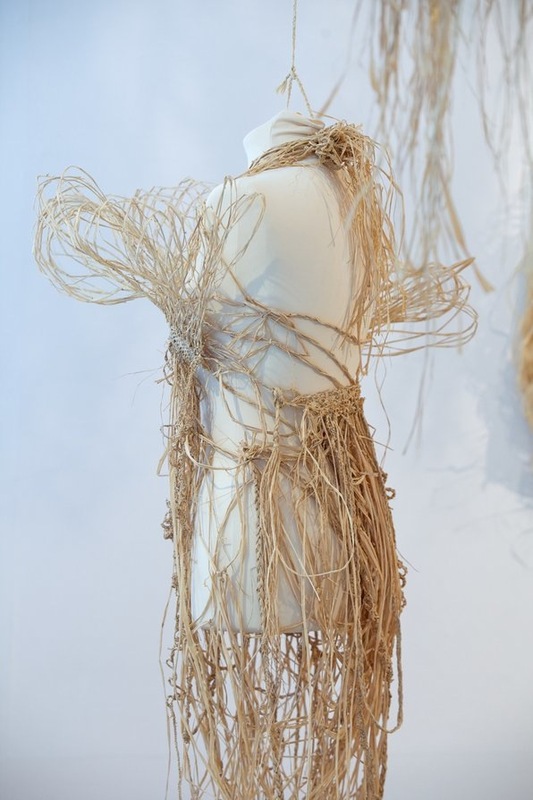 Here, Boontje has produced gorgeous, museum-ready pieces using junk you could find at the craft shop. Will it be a new trend? Design Art a la Pauper?